See the 2014 Season Greetings by Mick and Keith, and post your own Season Greetings on IORR. Thanks to everyone for a great Stones-year. Merry Christmas - Bon Noel - Fr�hliche Weihnacht - Prettig Kerstfeest - Feliz Natal - �Feliz Navidad! - God Jul! Dec 18: Happy Birthday Keith! Keith Richards is turning 70 years old today. Bring your birthday greetings in the IORR thread Happy Birthday Keith! A chance encounter at Dartford station platform two on 17 October 1961, without which the Rolling Stones might never have existed, is to be marked with a plaque. Keith Richards was on his way to Sidcup Art College, carrying his hollow-bodied H�fner cutaway electric guitar, while Mick Jagger was travelling to the London School of Economics and holding some of his prized blues records. See the BBC report Mick Jagger and Keith Richards plaque for Dartford station. Keith interview by Wall Street Journal: "Street Fighting Man" was the first time I had a sound in my head that was bugging me. When we were completely done recording "Street Fighting Man" and played back the master, I just smiled. It's the kind of record you love to make � and they don't come that often. --- See the story with links and comments in the IORR thread Keith on 'Street Fighting Man' - Wall Street Journal, December 11. Rod Stewart confirmed in a Dec. 2 interview on Boston's WZLX radio that the Faces would reunite as a live band after Ronnie Wood's next tour with the Rolling Stones. Said Rod Stewart, "We're earmarking 2015," which is the 40th anniversary of the band's breakup. See the Billboard story Rod Stewart Confirms Faces Reunion: 'We're Earmarking 2015'. There are three Rolling Stones related Grammy nominations, including "Doom and Gloom", "The Brussels Affair" and "Charlie Is My Darling - Ireland 1965". See the IORR thread Mick & Keith, Andrew Loog Oldham get Grammy nominations. Mick Jagger has announced that he will appear on the new album by his younger brother, Chris Jagger. Mick appears on two tracks on the album � the title track plus a song called 'Diamonds And Pearls'. Recorded in France, the album also features Bobby Keys and Tim Ries. See the NME story Mick Jagger to appear on brother Chris' new album 'Concertina Jack'. The Rolling Stones are confirmed for three shows at Tokyo Dome, Tokyo, Japan and one show at the CotaiArena, Macau, China for their "14 on Fire" tour. See the RollingStones.com announcement The Rolling Stones announce shows in Tokyo, Macau, Abu Dhabi, Australia & New Zealand, and the IORR list of The Rolling Stones World Tour 2014. The Rolling Stones are confirmed for a show at the du Arena (Yas Island), Abu Dhabi on Friday, 21 February. See the RollingStones.com announcement The Rolling Stones set to rock Abu Dhabi for the first time, and the IORR list of The Rolling Stones World Tour 2014. The Rolling Stones are confirming their "14 on Fire" tour of Australia and New Zealand, including shows in Perth, Adelaide, Sydney, Melbourne, Hanging Rock (Macedon), Brisbane and Auckland, from March 19 to April 5, 2014. For press information see the RollingStones.com pages 14 on Fire, ticket sales details by the promoter Frontier Touring, and the updated IORR list of confirmed and rumoured shows of The Rolling Stones World Tour 2014. The Rolling Stones will be performing in the United Arab Emirates this spring, in Dubai and/or Abu Dhabi. See the teaser video #GetWhatYouNeedUAE and the updated IORR list of The Rolling Stones World Tour 2014. The Rolling Stones are expected to announce their shows in Asia, Australia and New Zealand early next week. The tour is expected to start late Feb in Japan, and take the Rolling Stones to a number of spectacular shows in Asia, Australia and New Zealand for the first leg of their 2014 world tour. See the updated IORR list of The Rolling Stones World Tour 2014. There are strong rumours about a Rolling Stones show at Hanging Rock, an hour driving outside Melbourne, Australia. See the Herald Sun article Rumours spread The Rolling Stones may announce concert at Macedon Ranges icon Hanging Rock, and the updated IORR list of The Rolling Stones World Tour 2014. The Venetian Macau are stating they will host a Rolling Stones show next year. The Rolling Stones are expected to be performing at the 15,000 capacity CotaiArena, previously hosting shows by Rihanna and Alicia Keys this year. See the updated IORR list of The Rolling Stones World Tour 2014. 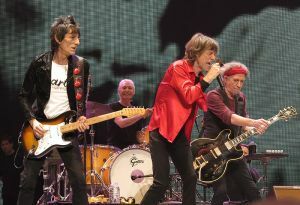 The Rolling Stones will continue their 2012 - 2013 live shows success in UK, USA and Canada with a world tour in 2014. The would tour is expected to start in Asia, then Down Under to Australia and New Zealand, and if everything is working as expected, there will be shows in South America and Europe as well later on in 2014. See updates of confirmed and rumoured shows in the IORR pages listing The Rolling Stones World Tour 2014. The Rolling Stones are confirmed to be performing at the Adelaide Oval in Adelaide on Saturday March 22, and they will do more shows in Australia plus one show in New Zealand. Adelaide will host the second leg of an Australian tour that begins in Perth. Gigs in Melbourne and Sydney are expected to be announced in coming weeks. See The Rolling Stones Confirm Australian Show by Mushroom.com and Rolling Stones concert at Adelaide Oval will be largest outdoor show of band's Australian tour by AdelaideNow. The Rolling Stones are said to be booked for a show at the 50,000 capacity Adelaide Oval in Adelaide, Australia on Saturday, March 22 next year. See the Herald Sun story The Rolling Stones confirmed to play concert at Adelaide Oval. The Rolling Stones will be announcing some exciting gig news soon, according to Mick Jagger on Twitter. See the IORR thread Exciting gig news according to Mick Jagger and updates on RollingStones.com. Ronnie Wood and his band featuring Mick Taylor among others performed at New York's Cutting Room last night. See the IORR thread Ronnie Wood and Mick Taylor - The Cutting Room in NYC. Ronnie Wood and his band featuring Mick Taylor among others performed a Jimmy Reed tribute show as part of BluesFest 2013 in Royal Albert Hall, London UK tonight. 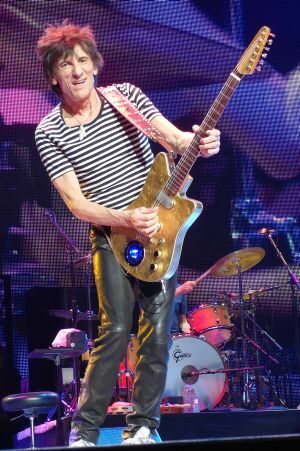 See the IORR thread Ronnie Wood Band w/ Mick Taylor at BluesFest 2013 in London. The Rolling Stones Hyde Park performance "Sweet Summer Sun" will be screening in theatres worldwide. See list of theatres and dates in the Specticast pages The Rolling Stones: Sweet Summer Sun - Hyde Park Live and the IORR thread Sweet Summer Sun - Theater Showings Oct/Nov. BBC will broadcast the Rolling Stones� live performance which was recorded in Hyde Park in July 2013 on BBC One on Saturday 12th October at 10.35pm UK time. See the RollingStones.com news report The Rolling Stones� return to Hyde Park to be broadcast on BBC1 and the IORR thread The Rolling Stones return to Hyde Park to be broadcast on BBC1 Saturday 12th October 10.35pm. The Ronnie Wood Band will be performing at BluesFest, Royal Albert Hall, London, UK on Friday November 1. See the press release The Ronnie Wood Band and more confirmed for BluesFest 2013 and the IORR thread Ronnie Wood Band at BluesFest London, November 1. The Rolling Stones with Eagle Rock Entertainment today announce the DVD and Blu-Ray release of "The Rolling Stones Sweet Summer Sun � Hyde Park Live". Available from 11 November 2013, the release is including a 2-hour live concert and a highlights package including new and unseen backstage footage. See the RollingStones.com news The Rolling Stones "Sweet Summer Sun - Hyde Park Live" out on DVD and Blu-Ray on 11 November 2013 and the IORR thread Sweet Summer Sun - Hyde Park Live : DVD & BluRay due Nov. 11. Ian McLagan says he will appear in an upcoming Keith Richards documentary. 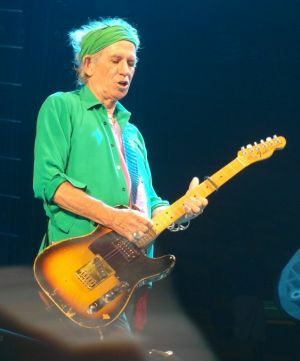 The songs they recorded in Los Angeles earlier this year included new renditions of "Happy" and "You Got the Silver", as well as a brand-new Keith Richards composition. See Johnny Depp Finally Completes Keith Richards Film by Starpulse, Faces' Ian McLagan Says He'll Appear in Upcoming Keith Richards Documentary by ABC News Radio, and the IORR thread Ian McLagan on Keith and Johnny Depp documentary. Jul 26: Happy Birthday Mick! Mick Jagger is turning 70 years old today. Bring your birthday greetings in the IORR thread Happy Birthday Mick! The Rolling Stones performances in Hyde Park earlier this month has been made available on iTunes as of today, and for a limited period of four weeks. See the RollingStones.com press release The Rolling Stones � Live In Hyde Park out now exclusively on iTunes and the IORR thread Hyde Park Live on iTunes now. The Rolling Stones performed their second show in Hyde Park, London, UK tonight. This show is also the final performance of the summer 2013 Rolling Stones tour of North America and UK. See the Hyde Park show #2 live comments, and the final Rolling Stones Hyde Park show #2 July 13 reports. 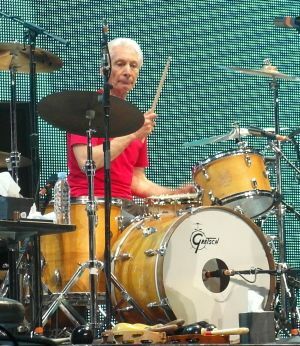 Charlie Watts guest played with Tim Ries on "Honky Tonk Women" and "Ruby Tuesday" last night in London. In addition to Charlie Watts, the Tim Ries Rolling Stones Project featured Darryl Jones, Bernard Fowler and Chuck Leavell among others. See videos and more info in the IORR thread 8 July Tim Ries Rolling Stones Project in London. "King of the Sidemen" is a Waddy Wachtel documentary featuring interviews and live clips including Keith Richards. The project is currently in the funding phase. See samples and more info about King of the Sidemen by the director Gary Simson, and the IORR pages Waddy Wachtel Documentary. The Rolling Stones performed their first of two shows in Hyde Park, London, UK tonight. See the Hyde Park show #1 live comments, and the final Rolling Stones Hyde Park show #1 July 6 reports. The Tim Ries Rolling Stones Project will be performing at the Lyric Theatre in London on Monday, July 8th, featuring Tim Ries of course, Bernard Fowler, Darryl Jones and some guests. The Lyric Theatre is located on Shaftesbury Avenue, near Piccadilly Circus in London's West End. The Rolling Stones concert organizer AEG ia making Rolling Stones fans having their 19th Nervous Breakdown regarding ticket delivery for the Hyde Park shows in London July 6 and 13. See the IORR thread AEG Ticket Chaos for Rolling Stones at Hyde Park. The Rolling Stones performed live at the Glastonbury Festival, UK tonight, for the first time in their more than 50 years history. A crowd of some 135,000 festival fans attended the show at the Pyramid Stage. See the Glastonbury 29-June-2013 Rolling Stones show live updates, and see the final The Rolling Stones at Glastonbury June 29, 2013 reports. The Glastonbury organisers are extending the boundary around the Pyramid Stage as around 200,000 fans want to see their first performance in Glasto�s 43-year history tomorrow. See the SUN report Stones' big role - Record numbers expected for Glastonbury show, the IORR Rolling Stones at Glastonbury June 29, 2013 reports, and the pre-show Glastonbury talks Glastonbury UK June 29 Rolling Stones show planning. It looks like the Stones will be offered contracts to do to more shows later this year, aound Oct-Nov 2013. Details are yet to be determined, but there are rumours about shows in the Nordic countries, Germany and The Netherlands. See the IORR thread Rumoured Rolling Stones shows 2013-2014. Stage designer and architect Mark Fisher died yesterday in London aged 66. Mark Fisher Studio designed a number of the Rolling Stones stages, as well as many other great stages. See the IORR Thread RIP Mark Fisher. The Rolling Stones performed their final show of their 2013 North America summer tour at the Verizon Center in Washington DC tonight. See the Washington June 24 live comments, and the final Rolling Stones Washington DC June 24 reports. The Rolling Stones performed their second show at the Wells Fargo Center in Philadelphia, PA tonight. They did "Under The Boardwalk" featuring guest Aaron Neville, and a great version of "Can't You Hear Me Knocking" with Mick Taylor on the lead guitar. See the Philadelphia-2 June 21 live comments, and the final Rolling Stones Philadelphia show #2 June 21 reports. The Rolling Stones performance at the Glastonbury festival in UK on Saturday June 29 will be broadcasted on BBC, limited to the first hour of the show. The end of the band's set will be seen by festival attendees only, and will include a fireworks display. See the NME report BBC to broadcast an hour of The Rolling Stones' Glastonbury set . The Cuba Libre Restaurant & Rum Bar in Philadelphia hosted the Rolling Stones tour party last night. Mick, Charlie and Ronnie celebrated at the private event with their 100+ strong road crew. See the Cube Libre press release Cuba Libre Restaurant & Rum Bar Hosts Rolling Stones and the IORR thread Rolling Stones tour party at Cuba Libre Philadelphia last night. The Rolling Stones are performing their first of two shows at the Wells Fargo Center in Philadelphia, PA tonight. See the Philadelphia-1 June 18 live comments, and the final Rolling Stones Philadelphia show #1 June 18 reports. Read all about the popular $85 Rolling Stones tickets in The Rolling Stones $85 Ticket Saga. These tickets have been available at every show. See the IORR thread "Thousands" of $85 Tickets - latest news! A new Rolling Stones book is due out on July 23 by St. Martin's Press. See details about the new book Rocks Off - 50 Tracks That Tell the Story of the Rolling Stones by Bill Janovitz. The Rolling Stones are performing their second show at the TD Garden in Boston MA tonight. See the Boston-2 June 14 live comments, and the final Rolling Stones Boston show #2 June 14 reports. Men's Journal July edition is bringing a great interview with Keith Richards. See Keith Richards: A Pirate Looks at 70 by Men's Journal and the IORR comments Keith interview - Men's Journal, July 2013 . 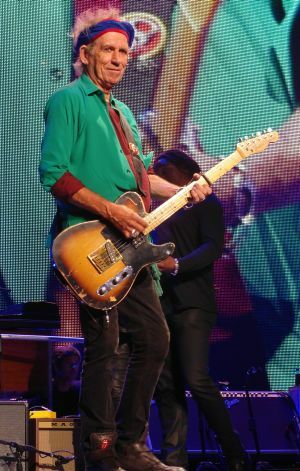 The Rolling Stones performed at the TD Garden in Boston MA tonight, featuring Gary Clark Jr. as guest on "Going Down". See the Boston-1 June 12 live comments, and the final Rolling Stones Boston show #1 June 12 reports. The Rolling Stones performed at the Bell Centre in Monreal Canada tonight, featuring Win Buther as guest on "The Last Time". See the Montreal June 9 live comments, and the final Rolling Stones Montreal June 9 reports. The Rolling Stones marked the 50th anniversary of the release of their first single "Come On" today at their 2nd Toronto show last night, as Mick and Charlie did a Come On mini-version. 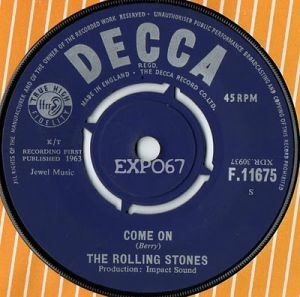 See the Independent report Sir Mick Jagger 'over the moon' to hear debut single on the radio 50 years after its release and the IORR thread 50 Years ago: Rolling Stones' 1st UK-Single. Do not expect Bill Wyman to be on stage with The Rolling Stones at the London Hyde Park shows. Rolling Stone Magazine talking to Bill Wyman: "Will we see you at Hyde Park when the Stones play, possibly?" Bill: "I'll be on holiday with my family in France at that time, very conveniently." See the article Bill Wyman on His New Book and Life After the Rolling Stones. Jun 7: Were The Rolling Stones underrated? BBC report: "It's hard to imagine that a band currently charging as much as $600 for their North American concert tour could once have been underrated. But the Stones' musical contributions often get short shrift because of the huge shadow cast by John Lennon, Paul McCartney, George Harrison and, yes, even Ringo Starr. See the BBC article Were The Rolling Stones better than The Beatles?. The Rolling Stones performed their second show at the Air Canada Centre in Toronto Canada tonight. See the Toronto-2 June 6 live comments, and the final Rolling Stones Toronto June 6 reports. The Rolling Stones performed their third show at the United Center in Chicago tonight, with Taylor Swift as guest on "As Tears Go By". See the Chicago-3 June 3 live comments, and the final Rolling Stones Chicago June 3 reports. Keith Richards is talking to MOJO Magazine about a possible new solo record. He has been working with Steve Jordan during the last couple of years with tracks for a possible album. Keith to MOJO: "There's some great stuff in the can, we're just polishing things up and waiting for the right time to put it out. Maybe after this year with The Stones." See the gibson.com article Keith Richards Planning New Solo Album and the IORR comments Keith will release solo album in 2014. The Rolling Stones performed their second of three shows at the United Center in Chicago tonight, featuring Sheryl Crow as guest on "All Down The Line". Mick Taylor was guest on "Can't You Hear Me Knocking. "Shine A Light" was another surprise in the set list tonight. See the Chicago-2 May 31 live comments, and the final Rolling Stones Chicago May 31 reports. Tim Ries will be performing his Rolling Stones Project at Martyrs', 3855 N Lincoln Ave, Chicago at 8pm tonight. Tim Ries on saxes, Bernard Fowler singing, Darry Jones playing some bass, and they will be joined by the 18 piece big band "DePaul University Jazz Ensemble". The Rolling Stones performed their first of three shows at the United Center in Chicago tonight, featuring Taj Mahal as guest on "Six Days On The Road". See the Chicago-1 May 28 live comments, and the final Rolling Stones Chicago May 28 reports. Proud Galleries in London, UK will be running an exhibition of rare Rolling Stones photos taken by the late photographer Eric Swayne. The exhibition will open on June 13 and run until July 28. See the NME story Unseen photos of The Rolling Stones to go on display in London. The Rolling Stones performed "Street Fighting Man" and "Angie" for the first time on the main stages on this tour during the show tonight at the Air Canada Centre in Toronto, ONT, Canada. See the Toronto May 25 live comments, and the final Rolling Stones Toronto May 25 reports. The Rock and Roll Hall of Fame in Cleveland, OH, USA is opening the exhibition "Rolling Stones: 50 Years of Satisfaction" on Friday May 24. The exhibit will be open till March 2014. See the IORR thread Rolling Stones Exhibit Opening May 24 at The Rock and Roll Hall of Fame and the The Rock and Roll Hall of Fame presents "Rolling Stones: 50 Years of Satisfaction". Mick Taylor made Los Angeles May 20 special for Stones fans, as he was on stage for "Sway" and "Can't You Hear Me Knocking", then also on "Midnight Rambler" and the closing "Satisfaction", in response to the IORR thread We want Mick Taylor on more than one song please. See the Los Angeles May 20 live comments, and the final Rolling Stones Los Angeles May 20 reports. The Rolling Stones performed their second show in Anaheim tonight, with Dave Grohl guest playing on "Bithch", and with Keith Richards doing "You Got The Silver" for the first time on this tour. Follow the IORR Anaheim-2 live comments, and see the final Rolling Stones Anaheim May 18 reports. The Rolling Stones performed "Waiting On A Friend" in Anaheim tonight, and on "Champagne & Reefer they had John Mayer as special guest. See the Rolling Stones Anaheim May 15 reports. The Rolling Stones performed live at the MGM Grand Garden in Las Vegas tonight. Special guest was Katy Perry on "Beast Of Burden". See the Rolling Stones Las Vegas May 11 reports. John Fogerty and Bonnie Raitt were special guests at The Rolling Stones show in San Jose tonight. See the Rolling Stones San Jose May 8 reports. The Rolling Stones are confirming they will perform at the Verizon Center in Washington DC on Monday June 24. See the updated IORR The Rolling Stones Tour 2012 - 2013 pages. 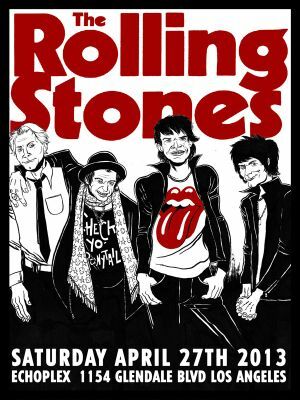 Follow the live updates in the IORR thread Oakland May 5 Stones show live updates, and see the final IORR Rolling Stones Oakland May 5 reports. 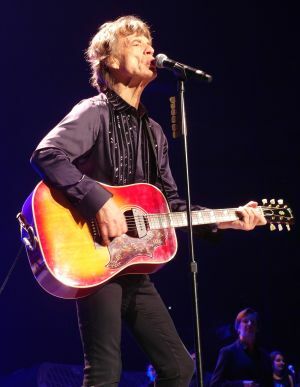 The Rolling Stones performed at a packed house tonight at the Staples Center, Los Angeles, CA, USA, for the official tour start 2013, following the Echoplex club show last Saturday. Follow the live comments in the IORR forum thread Los Angeles May 3 Stones show live updates, and the final IORR Rolling Stones Staples Center May 3 reports. The Rolling Stones announced a surprise gig at the 500 capacity Echoplex club in Los Angeles today. The show was announced by noon. Tickets were sold through a lottery to fans queuing up at the El Rey theatre from 2pm to 5pm. The Rolling Stones were on stage at 9:20pm i.e. less than 9 hours after the announcement. See the IORR reports The Rolling Stones live at the Echoplex, Los Angeles, CA, USA April 27, 2013. The Rolling Stones have postponed their tour-opening concert at the Staples Center in Los Angeles by one day. The tour will now begin at Staples on Friday May 3. See Rolling Stones tour to now start May 3 by U-T San Diego and the updated IORR The Rolling Stones Tour 2012 - 2013 pages. CBS and radio.com are bringing us great video messages by The Rolling Stones, including quotes like Mick: "Two months before I have to up my fitness level and start singing every day." Keith: "It is the life and blood of us to play in front of people." Charlie : "...To have twice as many numbers ready to play, and to be twice as fit. It takes Mick's energy to start it up." Ronnie: "I was the first one to be very enthusiastic to do it". See the Exclusive Video: The Rolling Stones Talk �50 And Counting� Tour by CBS. All Rolling Stones fans are dreaming about hearing not-so-often performed rare Stones songs. Please add your own rare favorite Rolling Stones song of choice in the IORR thread Rare Stones songs the fans would love to hear. The Rolling Stones started rehearsals for the upcoming summer tour in Los Angeles yesterday. See the Ronnie Wood Twitter message All going well at rehearsals - Day 2 today, the Daily Mail report The old gang's back! The Rolling Stones get together to rehearse in LA ahead of upcoming tour and the IORR thread Rehearsals in Los Angeles - with pictures. The Rolling Stones are confirming they will perform in Montreal Canada on Sunday June 9. See the updated IORR The Rolling Stones Tour 2012 - 2013 pages. Bill Wyman's Scrapbook is a luxury, large format, signed, limited edition (only 1962 copies) photographic coffee table book by Bill Wyman. For details see the Bill Wyman's Scrapbook. Keith Richards joined Eric Clapton in stage for "Key To The Highway" "Sweet Little Rock & Roller" at the Crossroads Guitar Festival in New York, USA last night. See pictures and details in the IORR thread Keith at Crossroads Guitar Festival, NYC April 13. See the latest updates of the Rolling Stones confirmed and rumoured tour dates in the IORR The Rolling Stones Tour 2012 - 2013 pages. Mick Jagger is admitting to trawling internet message boards seeing demands for the classics and that he does "worry a lot" about not making everyone happy. After the gig Jagger then goes back on the the web to see the reaction - which tends to be negative unless the fans' favourite song was played, according to the Mail Online article Dazzling smile of Keith the Teeth: Rolling Stone guitarist beams as he attends musical in New York and the IORR thread Mick is here. Ronnie Wood opened the art exhibition "Raw Instinct" in London today at Castle Fine Art in London, England. See the RonnieWood.com article Raw Instinct and the IORR thread "Ronnie Wood: Raw Instinct" Art Exhibit - London, April 11, including pictures of Ronnie Woood with guests including Mick Taylor. The Rolling Stones tour start is confirmed for Thursday May 2 at the Staples Center in Los Angeles. The date is subject to change pending NBA/NHL playoff schedule. See the RollingStones.com news entry The Rolling Stones kick off 50 & counting tour May 2 at the Staples Center in Los Angeles and the IORR thread Los Angeles 2013 show planning. The Rolling Stones are confirming a 2nd show in Hyde Park today, to be performed on Saturday July 13. See the RollingStones.com Tickets, and the IORR Hyde Park threads on IORR Tell Me. Fans who paid hundreds of pounds for the "Front of the Stage" exclusive Premium Tier One tickets are being told these tickets are now categorized by AEG as "Excellent view of the stage", while the cheapest 95 pounds Tier Three General Admission tickets will give access to the very front of the stage, according to separate information from the Rolling Stones on Twitter. See The Telegraph article Rolling Stones fans in row over premium tickets and all the details in the IORR thread Confusion over Hyde Park "Seating Chart". United Center is listing a third Rolling Stones show in Chicago on Monday June 3. See the United Center Rolling Stones 3rd show listing and IORR - The Rolling Stones 2013 Tour dates and more info. The Rolling Stones are confirming a 2nd show in Toronto today, to be performed on Thursday June 6. Also another Chicago show on Friday May 31 is now confirmed. See RollingStones.com Tickets, and the IORR The Rolling Stones 2013 Tour dates and more info. All 65,000 tickets for the Rolling Stones Hyde Park concert on Saturday July 6 sold out in less than five minutes as they went on sale at 9am this morning in UK. A second show on Saturday July 13 will probably be announced soon. See The Standard article Rolling Stones tickets for Hyde Park sell out in under five minutes and the IORR thread Hyde Park London July 2013 show planning. The Rolling Stones announced their 2013 summer tour today, with shows in USA, Canada and UK. See the official announcements on the RollingStones.com News, and the IORR pages with The Rolling Stones 2013 Tour dates and more info. 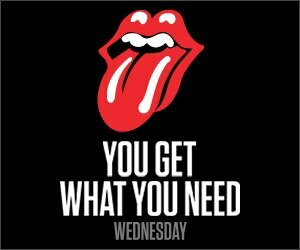 The Rolling Stones are expected to be announcing their North American 2013 tour on Wednesday. Social media in combination with public advertising boards in cities they will be announcing shows in are being used to promote the shows. See the IORR 2013 Tour Countdown comments on You Get What You Need Wednesday. The Rolling Stones are now confirmed for the Glastonbury festival in UK, performing at the Pyramid Stage on Saturday June 29. 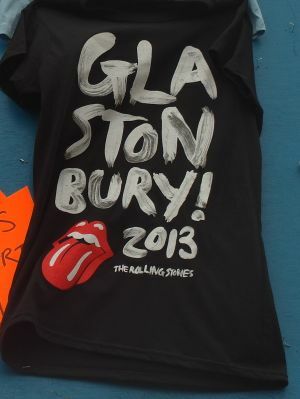 See The Rolling Stones to play the Glastonbury festival by RollingStones.com and The Official Glastonbury 2013 Poster. The Rolling Stones are said to be signing up with AEG Live to promote 18 shows in North America starting May 2. See the Rolling Stone story Rolling Stones Settle on Promoter for Arena Tour and the IORR comments Countdown to The Rolling Stones 2013 Tour. Mick Jagger has been in studio with Joe Walsh this week, recording and writing songs with with Ringo Starr, Bill Withers, Keb Mo, Tal Wilkenfeld and others. See tweets by Joe Walsh, Tal Wilkenfeld and the IORR thread Mick Jagger in studio with Joe Walsh. The Rolling Stones will perform approx. 20 shows in USA and UK this summer, including multiple shows in US cities like Philadelpia and Las Vegas, plus Glastonbury and two more major London shows. See the Pollstar article Rolling Stones In 2013? and the IORR the article Countdown to The Rolling Stones 2013 Tour. In less that four months from now The Rolling Stones are expected to be doing Part Two of their "50 and Counting" 50th anniversary tour. There are rumours about arena shows on the US west coast as well as several festival prospects. See the IORR article Countdown to The Rolling Stones 2013 Tour. 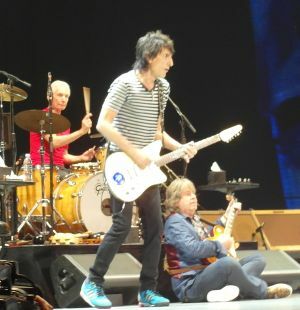 Bill Wyman has said he was "disappointed" by his role in The Rolling Stones 50th anniversary shows. Bill told The Times newspaper: "It was fun in a way... I thought I would get quite heavily involved, so when they said they only wanted me to do two songs I was a bit disappointed. See the NME article Bill Wyman 'disappointed' by role in The Rolling Stones 50th anniversary shows and the IORR forum thread Bill Wyman wanted proper Rolling Stones reunion. Mick Jagger is confirming the Rolling Stones will do more shows later this year, but not until summertime. Quote from Mick: "We�re not gonna stop." 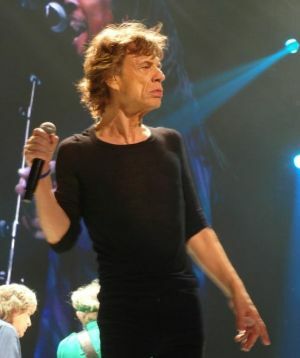 See the NME article Mick Jagger: Rolling Stones 'not going to do Coachella' and the IORR forum thread Stones Tour 2013. The five sold out Rolling Stones shows in London, Brooklyn and Newark during the 50 and Counting Tour Nov/Dec 2012 made a record breaking total ticket sales value of US $39 million according to the Billboard report Hot Tours: Rolling Stones' '50 and Counting' Shows Earn Top Spot. Jan 11: Tom Waits and Keith Richards collaboration on "Shenandoah"
Tom Waits and Keith Richards have recorded a version of "Shenandoah" for the upcoming compilation Son of Rogue's Gallery: Pirate Ballads, Sea Songs and Chanteys, which is set to release on February 19. See the RollingStone.com article Tom Waits and Keith Richards Perform 'Shenandoah' and the IORR thread Tom Waits & Keith Richards new song - Shenandoah. The "50 And Counting" five shows mini-tour in London, Brooklyn and Newark will probably be followed up with more shows later this year. This is what Mick Jagger is saying, as quoted by Rolling Stone Magazine: "There have been quite a few offers. I'm going to see what's on the table and discuss it with everyone. We'll announce it when we've figured it out." See the RollingStone.com article Rolling Stones Weigh Offers for Full Tour in 2013.